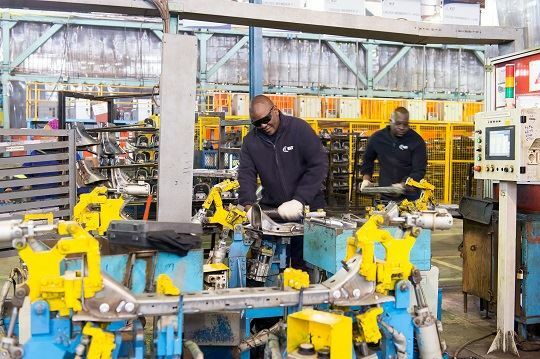 KLT Automotive and Tubular Products South Africa, a chassis manufacturing company that produces chassis frames to meet the requirements of Ford SA, will soon be ramping up production volumes. With its local Plant just over 60 minutes from Pretoria in Hammanskraal, KLT SA runs a major contract with the FMCSA for the Ford Ranger and now operates a three-shift pattern during the week, and two shift patterns on Saturdays, employing over 900 staff. According to Jubin Thakka, Group Managing Director it became imperative to acquire specific skills sets in South Africa, since the company's local inception. “Our chosen location, Hammanskraal was a distressed area and we believed that we could create much needed development, growth and employment opportunities. We built an in-house welding school to train and develop the people of the town and employ from the small town to meet production targets,” explains Thakka. The operations started with a two-shift pattern, and aimed to increase to a three-shift pattern and therefore an increased volume, once more people were trained and employed. In December 2011, production had reached its expected optimal speed. “Ongoing staff training in global best practice; learnerships for youth in the community; factory tours; donations to community upliftment organisations; food subsidies for employees; free transport. Each of these embeds a company deeper into their community and ensures the stable, productive relationships needed to produce to world standard,” adds Thakka. As an Indian company with a seven-year history in Hammanskraal, KLT SA has learnt much in South Africa and from the country. “How companies relate on the local level will determine how well they are able to deliver on the global level. For all the automation in modern manufacturing, it will be their people who help multinational enterprises meet quality benchmarks, gain international certification and win contracts,” he concludes.